This soft streamed bun with sweet mug bean filling is a must try item. It is easy to make at home too. 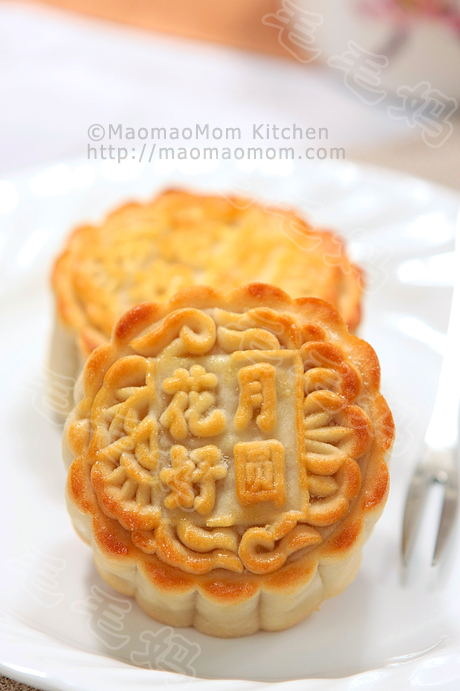 5) Mug bean filling 450g, see Puff pastry cake with mug bean filling on how to make mug bean filling at home. 1) 1/2 all purpose flour (80 g), ¼ cup lukewarm water (60g), 1/2 tsp temperature for about 8-10 hours. 2: Dough: When the dough starter is ready after 8-10 hours, you can see it has many holes (Picture 3). 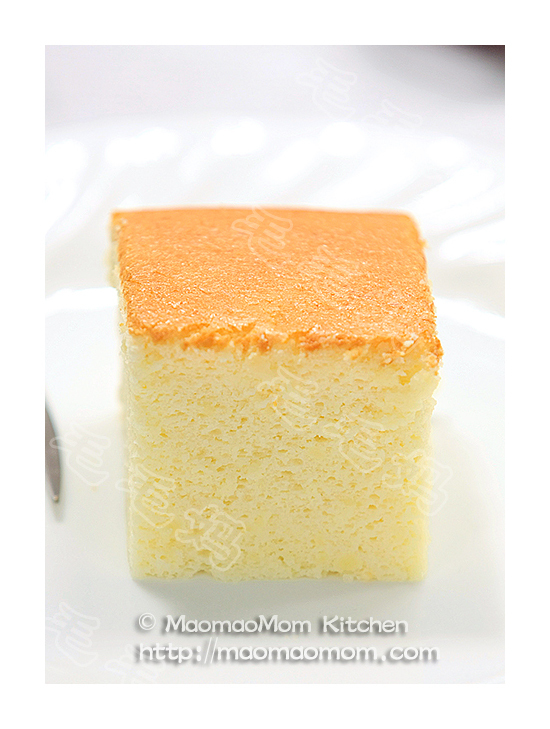 Add milk, milk powder and sugar of Ingredient 3) (Picture 4), mix with your fingers until sugar dissolves. 3: Sift together all ingredients of Ingredient 2) in a medium mixing bowl. Add diced lard (Picture 5), pour in dough starter and mikl mixture to form a dough. Knead for about 5 minutes to form a smooth dough (Picture 6). Cover with plastic wrap and let it stand for 5 minutes. 4: Divide mug bean filling to 10 equal portions, roll each into a ball, set aside (Picture 7). Knead the dough a few times then divided into 10 equal portions. Roll each portion into a ball. Flatten with the palm of your hand then roll out into a 6-cm circle. Place about one filling on top (Picture 8), wrap and seal it. Seal side on the bottom and shape it with your palms to form a ball (Picture 9). Repeat for the remaining dough and filling. 5: Cut parchment paper into 2.5-in squares and place the buns on top. Place them on the steamer rack and let them stand for 5 minutes. Fill the steamer with 5 cups of water and bring to a boil. Place the steamer rack on top and cover with lid. 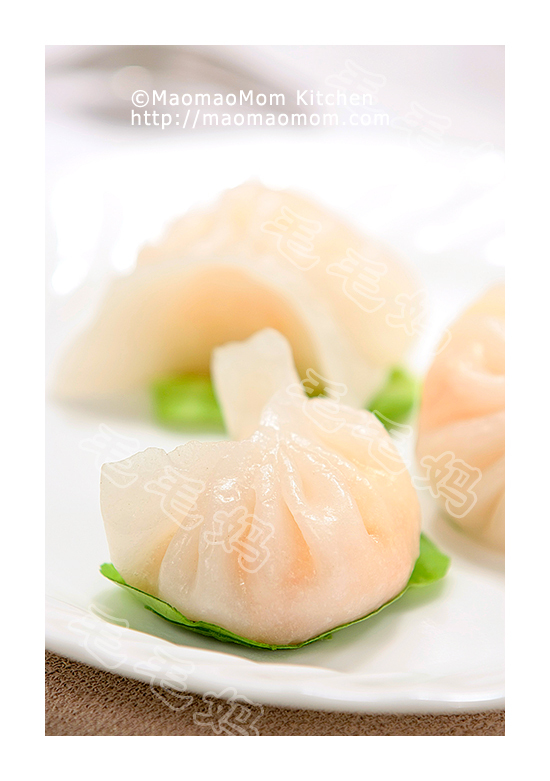 Steam the buns on high heat for 12 minutes (Picture 10). Remove the steamer from heat and let stand for 2 more minutes before opening the lid.